Extinguishing and protection is one of the most important factor during the whole produce procedure. 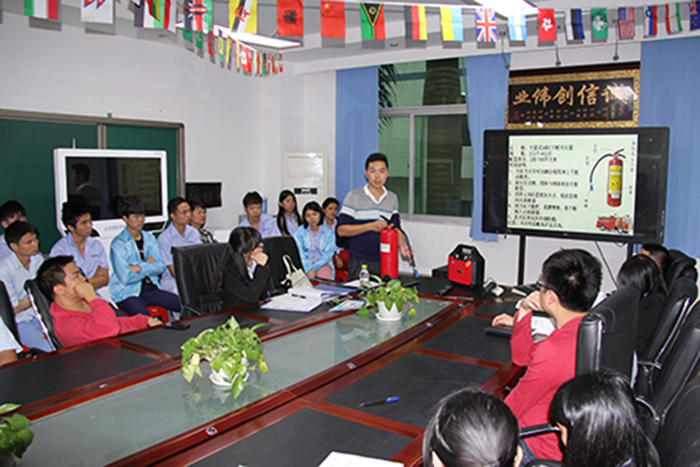 A training curriculum had holden in Xuezhiyou Technology Co.,Ltd. on Dec.1.2015. All the staffs of company took part in this curriculum and learned a lot of knowledge about the safety. 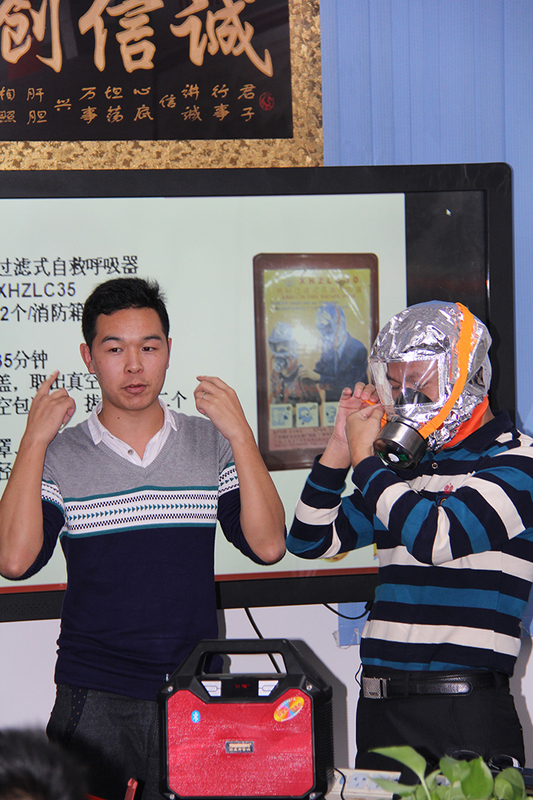 Teacher introduce the respirator for fire self-rescue GA and a staff try to use it. 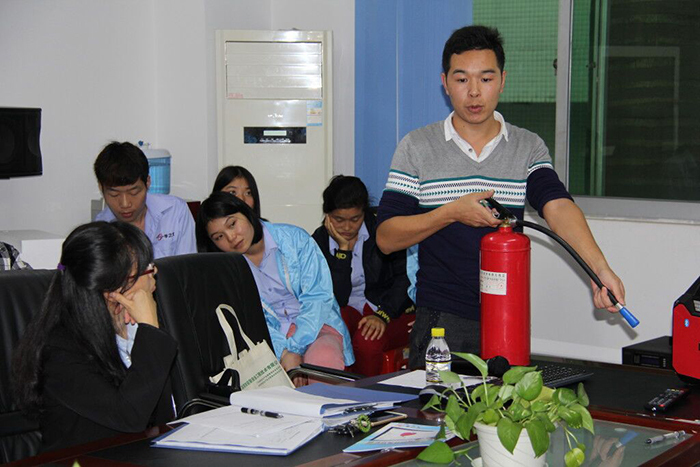 Teather explain the use-method of the fire extinguisher.